Why do some artworks stand out head and shoulders above others? Exceptional art somehow satisfies at a deeper level than the rest. What Makes Great Art showcases a selection of 80 outstanding paintings and sculptures from around the world and throughout time, assessing just what it is that makes them so great. Some owe their greatness to composition of colour, others offer profound insights into their human subjects, and some convey their message particularly effectively. 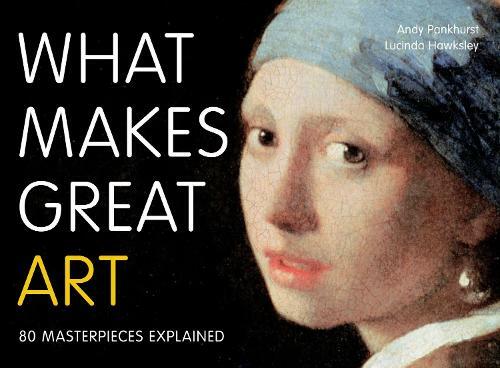 Andy Prankhurst's succinct, appraisive text will open your eyes to the unique defining qualities of these key works, enabling you to appreciate the groundbreaking talents of every age.